In 2014, the Bureau of Reclamation, the Colorado River Basin States and Colorado River water users explored ideas that could mitigate the impacts of the ongoing drought in the Colorado River Basin. One idea that received broad support was funding projects that would test a wide range of measures to conserve Colorado River water in Lake Powell or Lake Mead as Colorado River System water for the benefit of all users to help offset declining reservoir elevations. On July 30, 2014, Reclamation signed an agreement with the Central Arizona Water Conservation District, the Metropolitan Water District of Southern California, the Southern Nevada Water Authority, and Denver Water for a Pilot Program for Funding the Creation of Colorado River System Water through Voluntary Water Conservation and Reductions in Use, as amended (Funding Agreement). The Funding Agreement is historic because water agencies from both the Upper and Lower Colorado River Basins and Reclamation agreed to jointly fund voluntary water conservation projects in both the upper and lower Colorado River Basins to benefit the Colorado River System. Under the Funding Agreement, the Federal and non-federal funding partners contributed $11 million ($3 million from Reclamation and $2 million each from the non-federal funding partners). The Funding Agreement allocated a minimum of $2.75 million for conservation projects in the upper Colorado River Basin (Upper Basin) and up to $8.25 million in the lower Colorado River Basin (Lower Basin). Under the Consolidated Appropriations Act, 2016, Congress appropriated $100 million for western drought response. From that amount, an additional $3.5 million in Reclamation funding was made available to the Pilot Program in the Lower Basin plus $300,000 from another Reclamation funding source. The non-federal parties also contributed additional funds to the Pilot Program totaling $3,020,000. The Pilot Program is testing a wide range of water conservation concepts that reduce water use and help to determine whether voluntary, measurable reductions in consumptive use of Colorado River water constitute a feasible and cost-effective approach to partially mitigate the impacts of long-term drought on the Colorado River System. Colorado River water conserved as a result of the Pilot Program is for the sole purpose of increasing storage levels in Lake Mead and Lake Powell and will not accrue to the benefit or use of any individual water user. Under Public Law 113-235, the Secretary of the Interior is required to submit to Congress, not later than September 30, 2018, a report that evaluates the effectiveness of the Pilot Program. Reclamation’s Lower Colorado Region is the implementing agency for the Pilot Program in the Lower Basin, while the Upper Colorado River Commission is the implementing agency in the Upper Basin. There are currently two Phases of the Pilot Program in the Lower Basin. In October 2014, the Lower Colorado Region announced an opportunity for Colorado River water entitlement holders to participate in the Pilot Program which is known as “Phase 1”. Six proposals were selected for implementation in Phase 1 by Reclamation and the non-federal funding partners. The cost of the Phase 1 projects listed below is $9,335,400. The Phase 1 projects will collectively conserve approximately 63,000 acre-feet (AF) of Colorado River water in Lake Mead at an average amount paid to the participant of approximately $136/AF. Approximately 80 percent of the 63,000 AF of water conservation is already in Lake Mead or will be by the end of calendar year 2016. The remaining amount of water will be conserved and stored in Lake Mead in later years. Project dedicates a portion of Muddy and Virgin River water historically used for agriculture to storage in Lake Mead in 2015 and 2016 in lieu of creating Tributary Conservation Intentionally Created Surplus credits. Project will recover effluent that is currently lost to evaporation through installation of wells that inject the treated water into the Colorado River aquifer over a 2-year period, likely to begin in 2017. Project conserved 10,080 acre-feet of TON Central Arizona Project (CAP) water in Lake Mead in 2015 in lieu of storing the water underground in AZ. Project offers rebates to farmers to convert up to 667 acres of farm land from flood/furrow irrigation to drip irrigation. Water conservation to occur over a 5-year period beginning in 2016. Project conserves 25,265 acre-feet in 2016 by CAWCD reducing delivery of CAP excess Agricultural Pool water to eleven irrigation districts located within the CAP service area. The reduction in deliveries to the irrigation districts will result in fallowing, deficit irrigation, and/or increased use of local water supplies. Project will remove 40 acres of turf from the City’s golf course to conserve an estimated 2,870 acre-feet of Colorado River water over approximately a 10-year period. 1. NV=Nevada, AZ=Arizona, and CA=California. 2. The $253 per acre-foot cost consists of a payment of $171 per AF to the TON and an $82 per AF payment to CAWCD to cover the fixed operation, maintenance, and replacement cost associated with the non-delivery of the CAP water. 3. The amount is based on payment to CVWD of $1,500/acre not to exceed $1,000,500. 4. Total cost covered by initial Lower Basin contributions of $8.25 million by the funding partners plus an additional contribution of $1 million by CAWCD and $85,400 by Reclamation. 5. Average cost. Excluding the $82 per AF paid to CAWCD for fixed costs, the average amount paid to project participants is approximately $136/AF. In March 2016, the Lower Colorado Region announced a second opportunity for Colorado River water entitlement holders to participate in the Pilot Program known as “Phase 2”. The cost for water conservation in the Phase 2 projects listed below is $5,791,403. Total costs, including certain administrative costs explained below, amount to $5,818,948. Reclamation and the funding partners selected four new projects and approved the expansion of a Phase 1 project with Bullhead City. The Phase 2 projects are expected to conserve 35,369 AF in Lake Mead. The average cost paid to participants is approximately $164/AF. System conservation agreements between the United States and TON and the Colorado River Indian Tribes (CRIT) respectively, provide for the United States to exercise an option for additional water conservation. In the agreement between the United States and the TON, the option provides for additional conservation of 10,080 AF in 2017, at a cost of $180/AF or $1,814,400. Similarly, the CRIT option provides for the additional conservation of 8,572 AF by fallowing 1,591 acres of agricultural land. Compensation for the conserved water will be $190.24/AF or $1,630,775. Funding to pay for the costs of the TON and CRIT options came from the Consolidated Appropriations Act of 2017, where Congress appropriated funds to Reclamation for western drought response. From western drought response funding, Reclamation allocated $3.5 million for the Pilot Program in the Lower Basin. The Phase 2 projects, including the additional conservation to be undertaken by TON and CRIT, will collectively conserve 54,021 AF (35,369 AF + 18,652 AF) of Colorado River water in Lake Mead. The Phase 2 Table includes the options exercised by the United States with the TON and CRIT. The updated average cost paid to participants is approximately $171/AF. 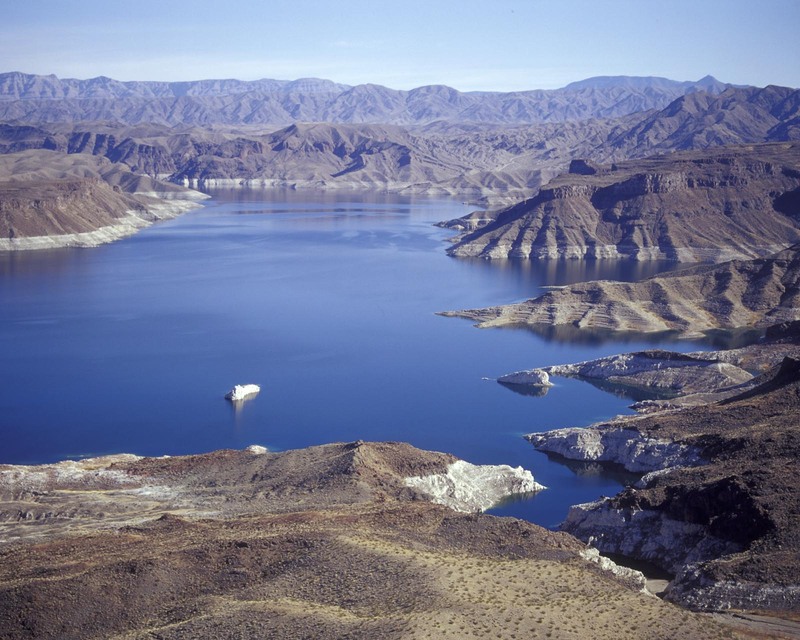 Project dedicates a portion of Virgin River water from post-1929 water rights leased by SNWA from Bunkerville Irrigation Company to storage in Lake Mead for a 3-year period beginning October 1, 2016 through September 30, 2019. Project will recover effluent that is currently lost to evaporation through installation of wells that inject the treated water into the Colorado River aquifer. The duration of the original 2-year project is being extended for 2 more years to conserve an additional 4,400 AF of water. Project will conserve 9,817 AF of TON CAP water in Lake Mead in 2016 in lieu of storing the water underground in AZ. Second-year option will conserve 10,080 AF of TON CAP water in Lake Mead in 2017 in lieu of storing the water underground in AZ. Project will fallow 1,591 acres of farmland and conserve 8,572 AF during the fallowing period beginning October 1, 2016 through September 30, 2017. Second-year option will fallow 1,591 acres of farmland and conserve 8,572 AF during the fallowing period beginning October 1, 2017 through September 30, 2018. Project will conserve 10,000 AF of Community CAP water in Lake Mead in 2016 in lieu of storing the water underground in AZ. 1. The price per AF will increase to $77.27 in 2018 and $79.57 in 2019. 2. This amount is based on payment to CRIT of $1,000/acre of fallowed land equal to $1,591,000. In addition to being compensated for water conservation, project administrative costs of $27,545 incurred by CRIT were paid from Pilot Program funding. Total project costs including the administrative costs are $1,618,545. From Phases 1 and 2 of the Pilot Program in the Lower Basin, the total expected volume of water conservation in Lake Mead will be 116,636 AF. By the end of calendar year 2017, approximately 93,476 AF (approximately 80 percent) of 116,636 AF will be conserved in Lake Mead. Water conservation will be completed by 2025. The total funding for Lower Basin Pilot Program projects is approximately $18.6 million. The average cost per AF of conserved water in Phases 1 and 2 combined including administrative costs is approximately $160.